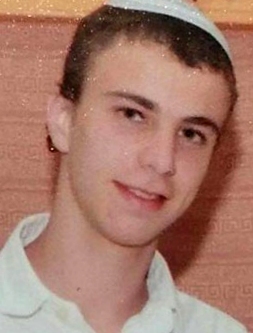 It has been cleared for publication that a joint security operation between the Shin Bet security forces and IDF Duvdevan counter-terrorism forces succeeded in capturing one of the terrorists behind in the murder of Rabbi Ya'akov Litman and his son Netanel on Friday. Security forces also seized what they believe to be the murder weapon, as well as the vehicle that was used in the shooting attack close to the town of Otniel. Under interrogation the terrorist implicated himself in the attack... This morning, it was further revealed that one of the terrorists actually opened the back passenger door of the car after peppering it with bullets, and came face-to-face with the family's 12-year-old daughter Moriah, who shouted "No!" The terrorist did not open fire, and security forces are investigating if this was the result of his weapon jamming... Moriah immediately recognized the terrorist's picture when she was shown a lineup of five suspects by Shin Bet security personnel.